There’s still hope for chairs and benches with broken caning. 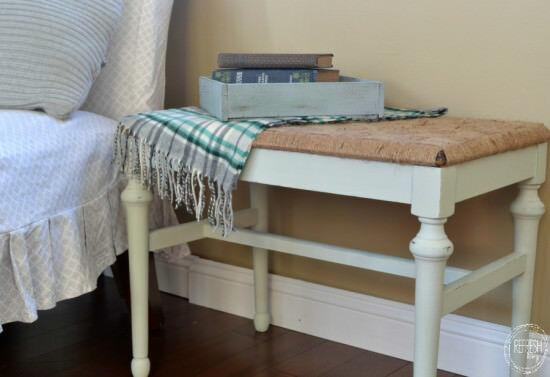 This is one easy way to repair a piece of furniture with missing caning and give it a farmhouse look. I see pieces of furniture with broken caning all the time. I totally understand why they are left behind; a chair or bench with a massive hole in the middle of it is intimidating. 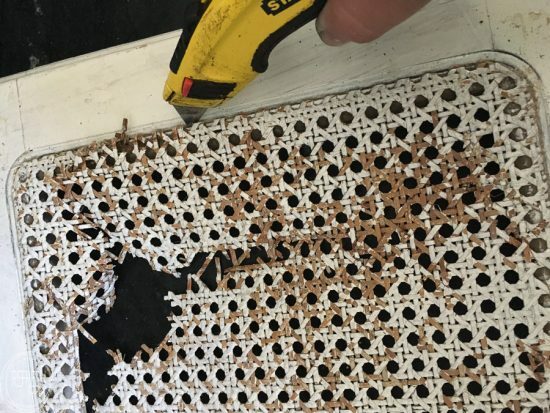 However, there are easy ways that these pieces can be repaired and given a second lease on life. A few years ago, I took a bench with broken caning and wrapped (and wrapped and wrapped some more) it with jute twine to given a new woven top. 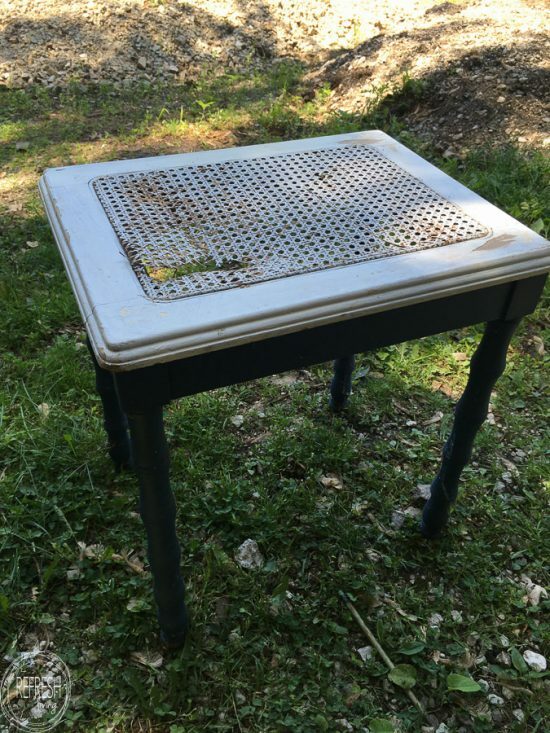 This time, I wanted to try a different option for refinishing this small table I found with broken caning. I loved the shape of the piece, but it was in pretty bad shape with chipping paint, and of course, a gaping hole in the cane seat. To repair the top, I first cut out the broken caning with a razor blade. 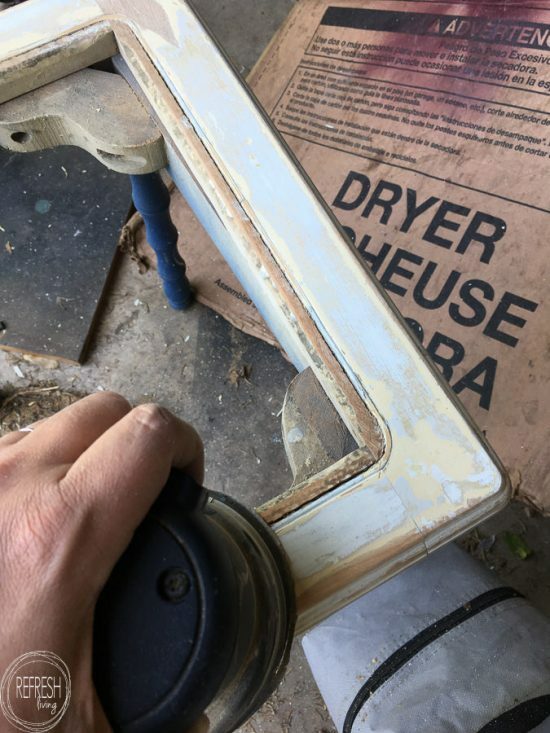 I sanded down the top to even out the layers of paint (I always check to be sure a piece has not been painted with lead-based paint before sanding). Then, I cut down 1 x 2 pieces of pine to fit inside the center of the frame of the top. I painted the frame and top with three coats of white chalk paint and sealed it with clear matte acrylic spray. 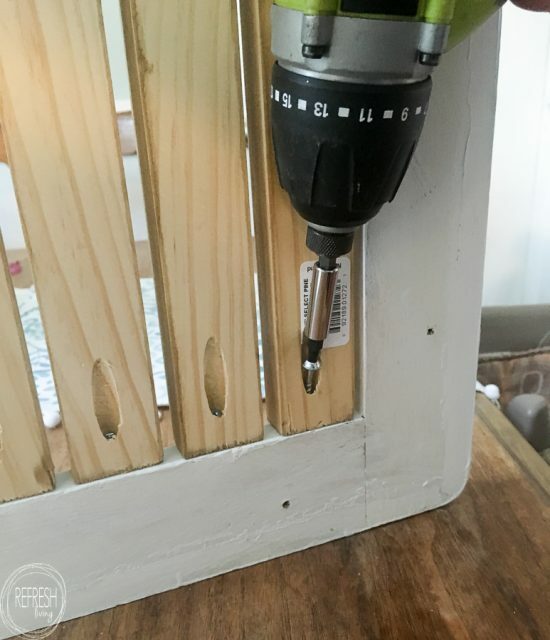 After everything dried, I used my Kreg Jig to drill pilot holes into the 1 x 2s, and then I used 1″ Kreg self-drilling screws to attach each piece of wood to both sides of the inside of the frame. Although I love the look of original caning, I must say, I’m a fan of this new update too. 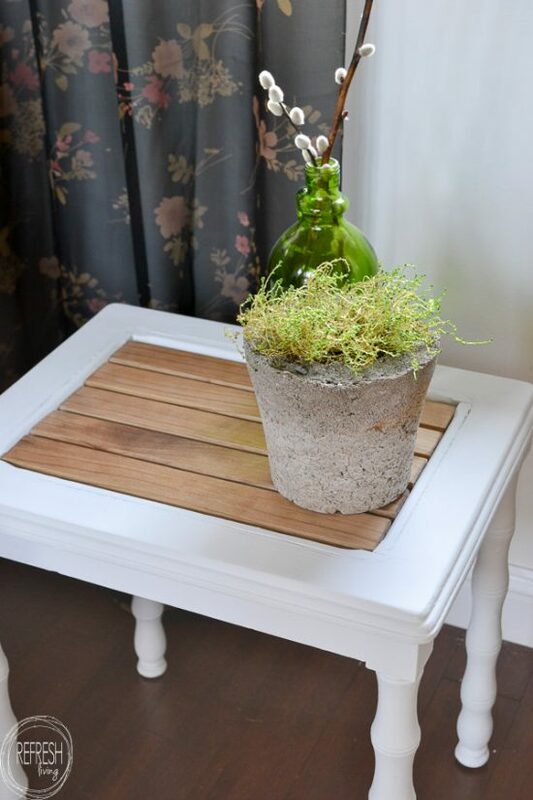 Of course, you could completely change the look with a different color of paint, or a different shade of stain. 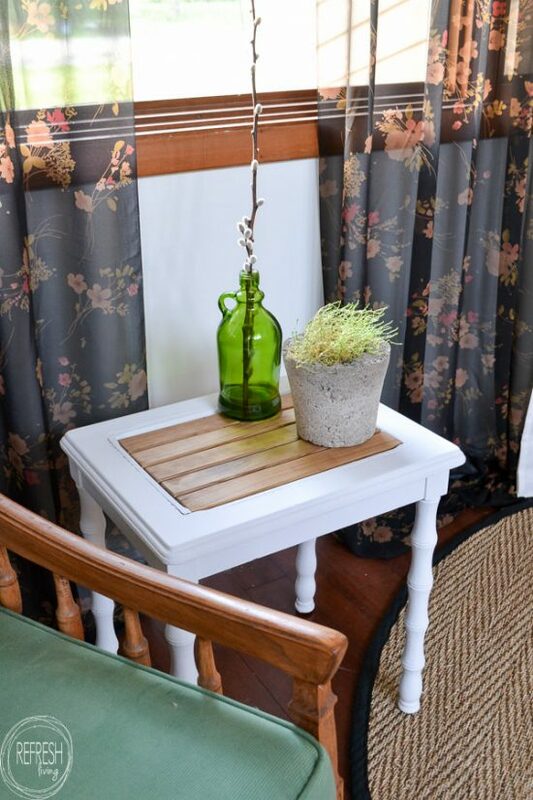 I absolutely love taking broken and beat up pieces of furniture and giving them a second chance with a whole new look. 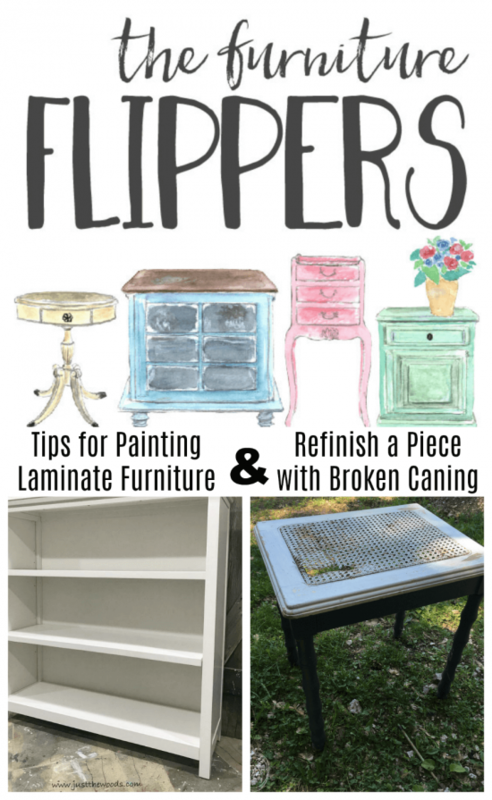 You can see all of my other furniture refinishing projects here, or check out my recommendations on the best type of paint for painting furniture. 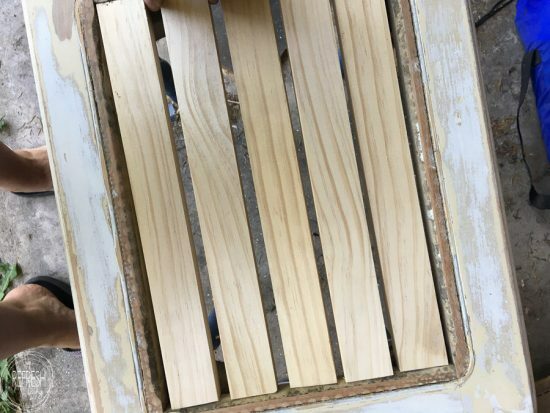 Looking for other inspiration for furniture refinishing? 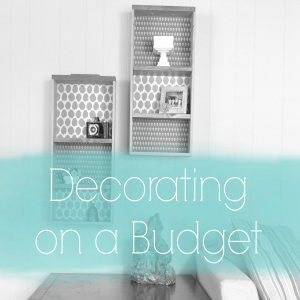 Check out Kandice’s tips for painting laminate furniture (and a ton of other furniture painting tips all over her blog) by clicking the link below. this is so smart! I avoid caning and never wouldve thought to do this! Thanks Kandice! It was a fun one to try to figure out how to fix. I love this idea. Broken caning won’t scare me away anymore. Hooray! I think it will only work well with a piece that has a rectangular opening, though. I can’t imagine trying to do this in a strange shaped chair hole! Awesome furniture upcycle. 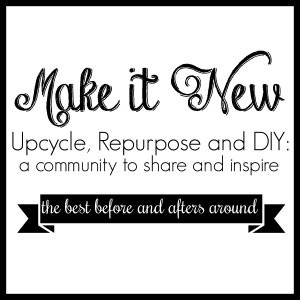 Thanks for sharing at the Inspiration Spotlight party @DearCreatives Sharing. I actually like your wood slats better than the caning. Great job. It looks wonderful. ×(I always check to be sure a piece has not been painted with lead-based paint before sanding). Hi Jenny, how will I know the difference regular&lead based? Hi! I’m so glad you commented, because it made me realize I forgot to link to these in my posts. I will add that in now. I use these lead swabs – although they are a bit pricy, I prefer to be safe! What a great idea. And certainly do-able for a lot of us. And it does look very nice, plus there are lots of other wood options to try out. Super result! That is a really cute idea! I’m actually not a fan of the dated look of the caning so I like the idea of trying other upcycling options. 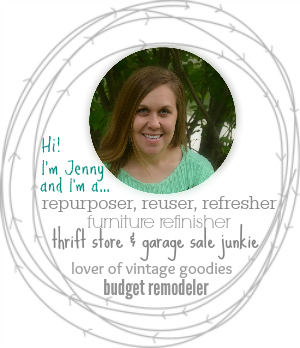 Thanks so much for sharing with us at the Summer Time Fun Linky. Pinned.